Maximum Plumbing offers many plumbing services for both commercial plumbing needs and residential plumbing projects. Maximum Plumbing will handle all of your plumbing needs – day or night – with professional and dependable plumbers every time. operated by Master Plumber Moshe Binder. Sometimes emergencies are unavoidable. Maximum Plumbing provides emergency plumbing services day or night, from Saturday night through Friday afternoon. If ANYTHING goes wrong with plumbing or gasfitting within your house or business, and it is an emergency, please contact us or call 443-928-7093 immediately, and we will do what we can to solve your plumbing problems. If you need something that you do not see listed here, please contact us to find out if we can help you with your plumbing needs. Maximum Plumbing can help you with any plumbing or gas fitting need you may have. The above list is a partial list of services that we offer – we do most or all plumbing and gasfitting services. Maximum Plumbing is here to help. Maximum Plumbing can help with the plumbing on your new addition or in your new bathroom or kitchen. 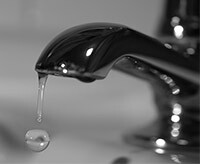 You should call (443-928-7093) to request residential plumbing services, whether it is routine or more urgent. Please keep non-urgent matters within reasonable business hours.